The Sacred Moon Emergence Lodge is the gathering place for the whole tribe. It represents our center, our connection to our Spirit and to all that we are. In this main Lodge you will experience the opening and closing of sacred space each day, along with major ceremonies and morning reconnection circles and songs. 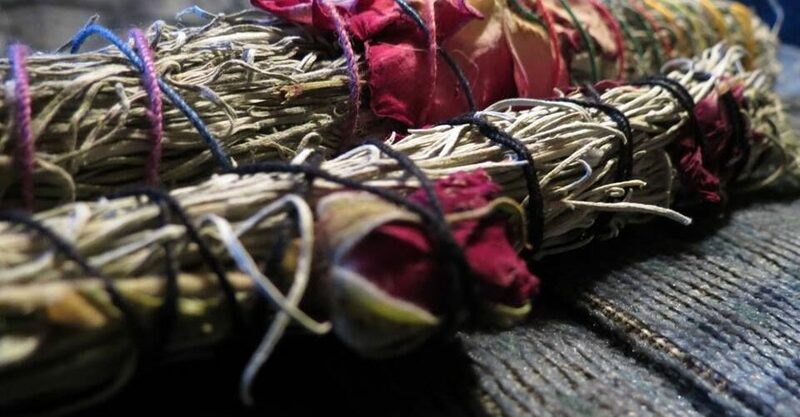 The SACRED MOON EMERGENCE LODGE is at the center of the Medicine Wheel of 5 Lodges symbolizing the stages of our life passages and our connection to our Ancestors and the Sacred Fire of transformation. On our personal Medicine Wheel we move through the life stages of our Little One, our Maiden, our Mother and our Wise One, always with our center in the heart of who we are. We always carry with us the messages of these parts of us, that were informed by our learning and emotional experience as we navigate each and every day of our life passages. Marilyn J Puff, the visionary and founder of Sacred Moon Emergence for Women holds the vision and maintains the Sacred Space as the main Lodge Grand Mother. Her love of sound, song and the drum will always call you home to her Lodge. With her sisterhood of the other Lodge Keepers, they will facilitate ceremony and host the larger and smaller gatherings. The ceremony begins with pulling a Lodge card to connect you to your own Sisterhood circle and your own home Lodge. 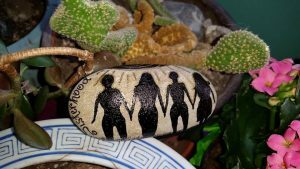 Within the ceremony you can let go of what holds you back in your connection to other women, and be received and honored for your place at the table of every sisterhood circle that you are in. Enjoy the songs, the drumming, chanting and the journeying into your heart …celebrating your arrival … honoring the intentions you carry… and the Sacred Space we will create together… for transformation as we send our love to this Sacred Land, ourselves and each other. 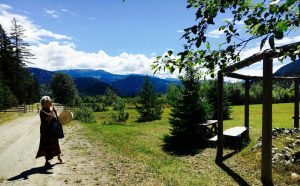 The SACRED MOON EMERGENCE LODGE will hold you throughout the weekend, calling you to gather between the times that you walk the land, circle, swim, feast, visit, play, and much much more…. We will be honouring the land, the gifts we have received, the friendships we have made and the transformation we can feel in our bones. In dancing and singing these pieces into our beings, we will carry them deeper into our hearts for our returning…. into our worlds….